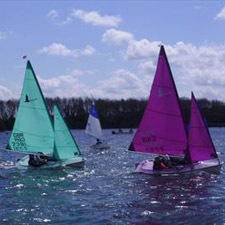 The first event of the elite Hansa GP 2015 series was hosted by Whitefriars Sailing Club in the Cotswold Water Park, Gloucestershire. Three separate Hansa classes were contested: Liberty, 303 double and 2.3. This location is probably the best inland venue in the country and brought in competitors from all around the UK. Conditions for the Saturday races were only just within the upper limits for racing, but on the Sunday conditions were ideal at F3-4. Racing across all the fleets was good to watch although at times trying for some of the competitors, particularly on the Sunday. The Hansa 2.3 fleet was surprisingly short on numbers, with only two boats competing. Lindsay Burns (Frensham Pond), the Europeans Champion got the better of Mark Collyer (Whitefriars) in all the races and won the trophy. The Hansa Liberty competition was fiercely contended with places changing throughout all the races. The local sailor David Durston (Whitefriars), managed to reach the front of the fleet by the end of all but one race when with Monique Foster (Rutland), making her debut in the Liberty fleet, pipped David by under a foot. Monique had good strong second places throughout the event to finish in second place overall. David won the trophy. Pat Crowley (Rutland), Tom Harper (New Forest) and Keith Harris (New Forest) were never far behind in any of the races they competed in. 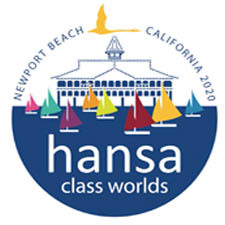 The Hansa 303 (doubles) fleet racing was also extremely closely fought with three separate boats winning the three races on the Saturday. On Sunday, the result went down to the final race. The winners only became confirmed when the results were collated afterwards. Anya de Iongh and Tim Scarisbrick (Chesil) managed two wins and a second place in the final race meant they took the trophy from James Woosnam and Steve Wooding (Frensham Pond). A special mention is deserved by a junior, Elliot Wootley (Whitefriars), who was competing in his first Hansa open event with his Grandad, Tony. After a cautious start, they improved steadily. At a ceremony afterwards, Chris Stout (Chairman of Whitefriars Sailability) presented the prizes. 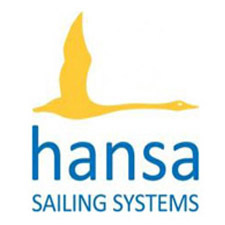 Marcus Frith, the Hansa chairman, then thanked all the many helpers who had made the weekend event possible – the organisers, the race officers, the kitchen crew, the safety boat crews and the many others who helped make the event a success. The next event in the Hansa GP 2015 is Carsington on 13th and 14th June.